Learn more about Why Do We Fall Ill? of Class 9. Humans shed about 600,000 particles of skin every hour - about?1.5 pounds?a year. By 70 years of age, an average person will have lost?105 pounds?of skin. 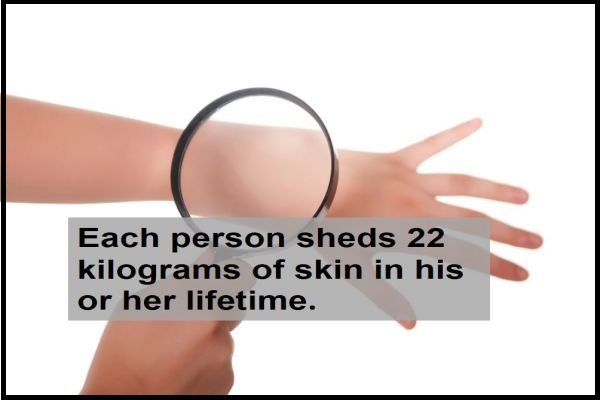 Humans shed and re-grow outer skin cells about every 27 days - almost 1,000 new skins in a lifetime.